This is not as good as a John Carpenter movie, but it is totally made for people who like John Carpenter movies by people who like John Carpenter movies. 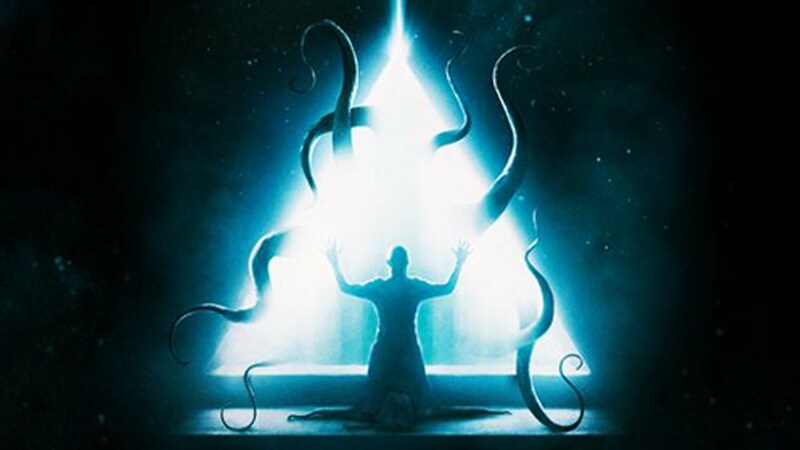 The Void is about a pretentious jagoff who channels the destructive life-force of an interdimensional entity which he uses to terrorize a handful of expendable characters in a hospital. It has the sort of isolation, paranoia, and practical effects that people (like me) love about The Thing, Prince of Darkness, and Assault on Precinct 13. A cult traps a band of characters in a hospital where they have to figure out who among them is in cahoots with the Lovecraftian entity that keeps making characters explode into gushers of gore and bone. The demonic eruptions are awesome and involve minimal computer effects. Characters turn into hulking distortions of themselves that sort of look like the dog-Things from The Thing. They are then controlled by the villain who uses them to slaughter whoever is standing around. The people who aren’t monsters yet can’t go outside because (like in Prince and Assault) there’s an army of cult members with shanks. The characters who haven’t turned into people-volcanos yet notice that the hospital is weirdly expanding into a labyrinth of secret passages and tunnels and fog (OMG is this another Carpenter reference?). They cobble together some guns and medical supplies and go snooping around only to uncover a conspiracy that involves a Cthulhu-type demonic force who wants to open a portal and turn the whole population into exploding people. It isn’t very scary, but there is some grotesque make-up and a fun story here. The characters and acting are a lot of fun. See it.